Danny Szetela turned professional in 2004 when signed with the Columbus Crew of Major League Soccer at the age of 16. He made 34 appearances for the Crew before moving abroad to play with Racing de Santander in Spain’s La Liga and Serie B side Brescia Calcio (where he made 26 appearances). After a stint at DC United, Szetela stepped away from soccer in 2010 due to injuries. 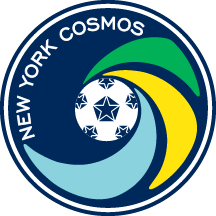 Szetela, of Clifton, N.J., signed with the Cosmos on July 1, 2013. He appeared in 13 games, tallying one goal in the Cosmos’ reboot season. He was named to the NASL Team of the Week twice during the 2013 NASL fall season. Szetela has been a regular starter in central midfield for the Cosmos since joining the team. He has been part of all three Championship winning campaigns since the team’s reboot. Szetela has represented the United States national team at every level. He was a member of the USSF’s Bradenton Academy and represented the U.S at the 2003 Under-17 World Cup. In 2007, Szetela was a key figure of the U.S U-20 national team that made it to the quarterfinals of the FIFA U-20 World Cup, alongside future national team players such as Michael Bradley and Jozy Altidore. He also earned the first of his three caps for the U.S. men’s national team in 2007 and played for the U.S at the 2008 Beijing Olympics. 2017: Re-signed with the Cosmos in Jan. 2017. 2016: Made 24 appearances (13 starts) of 32 NASL matches for the Cosmos … Scored a goal in a 1-0 victory against Rayo OKC on May 28, 2016. 2015: Made 24 appearances (19 starts) out of 30 NASL fixtures for the Cosmos … Recorded an assist in 3-3 draw against Jacksonville Armada on June 13, 2015. 2014: Started 21 out of 28 NASL matches for the Cosmos … Scored three goals and made one assist. 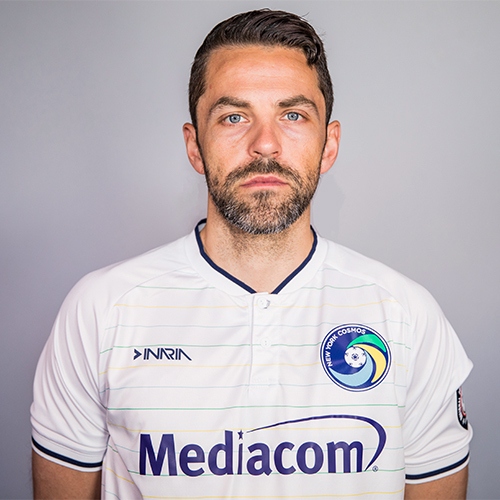 2013: Signed with the New York Cosmos on July 1, 2013 … Made is Cosmos debut as a substitute on Aug. 10, 2013 and played 22 minutes … Appeared in 13 games, making 11 starts, including the 2013 NASL Soccer Bowl … Tallied one goal while picking up five yellow cards in 1,056 minutes of action during the 2013 season.